Researchers at the Vaccine and Immunotherapy Center (VIC) at Massachusetts General Hospital (MGH, Mass General) have discovered that a combined treatment with two cancer immunotherapy drugs is effective at prolonging survival in mouse models of the aggressive cancer mesothelioma. The two drugs, known as AMD3100 (plerixafor) and VIC-008, more than doubled the animals’ survival time. AMD3100 was previously approved for the stimulation of stem cell production prior to bone marrow transplantation, and the teams’ investigational drug VIC-008 (also known as Jantibody), is a fusion protein combining an immune-activating protein from the tuberculosis bacteria with a small antibody fragment targeting mesothelin, a protein expressed in several types of tumors – including mesothelioma, pancreatic, and ovarian cancer. According to the team, among the mechanisms identified as underlying the combination treatment’s effects was changing a population of immunosuppressive T cells into a type that could enhance an antitumor immune response. “The apparent ability to change immunosuppressive T cells within the tumor into T cell types that are more active and potentially helpful against cancer was a really exciting finding, and one that we’re continuing to investigate,” said Poznansky. 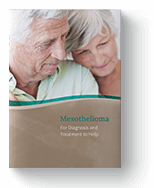 If you have been diagnosed with mesothelioma, talk to your doctor about innovative combination treatments such as AMD3100 and VIC-008. Investigational treatments such as this could be effective at helping treat your specific type of mesothelioma. Poznansky, Mark. "Combination Immunotherapy Improves Survival in Mouse Models of Mesothelioma." Massgeneral.org. Massachusetts General Hospital (MGH), 02 Apr. 2018. Web. 16 Apr. 2018.